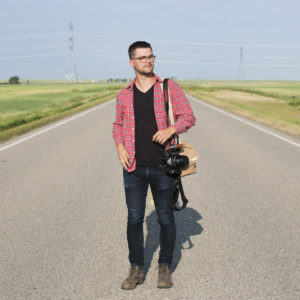 KYLER ZELENY grew up on a farm in Central Alberta. The farm isolated him, it taught him lessons about the great prairie landscape and the importance of a vibrant imagination. As a result, he is left with a propensity towards open spaces, a residue of his upbringing, and mega cities, a response to his desire to connect with people. His work is influenced by a fascination for elements of the past and pondering the future. As a result, he rarely lives in the present. He believes one of the highest virtues is not intellect itself but the pursuit of knowledge, whether that is learning how to weld or reading Bourdieu.